Our program is built around a consistent and intense methodology to ensure that all swimmers can be safe, comfortable, and confident in the water. According to the CDC, among those ages 1-14, fatal drowning remains the second-leading cause of unintentional injury-related death behind motor vehicle crashes. With accidental drowning causing so many lives every year, water safety is our top priority. 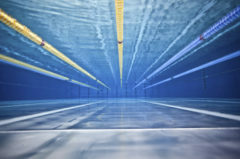 Once the swimmers are water safe, their confidence will tremendously increase allowing them to master stroke technique with ease.